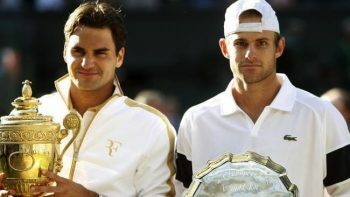 In 2003 Andy Roddick won the US Open in straight sets, becoming the youngest ever world’s number one. Watching the trophy ceremony that year it was easy to imagine that this was a coronation and there would be many more major wins for the young American with the huge serve. And then Roger Federer became Roger Federer. Once a hot headed young player, many people considered his game good but not remarkable. Certainly no one expected him to become the world’s greatest, known for his calm demeanor on court. But in 2003 he won his first of 8 Wimbledon titles. In 2004 he won the Australian Open, the US Open and Wimbledon. During the next nine years Andy would reach the 2004 and 2005 Wimbledon finals and the 2006 US Open finals. He was the runner up to Roger Federer in all of them. So Andy decided to rework his game. He fine tuned his monster serve, lost weight, got faster and hired Jimmy Connors. He began to develop a more multi faceted and dynamic game. Instead of relying on a baseline power game he worked on moving forward and improving at net. By 2009 he was at his peak. That year he won the Memphis Open, reached the semis of the Australian Open and the fourth round of the French Open for the first time. He also reached the finals at Wimbledon. His opponent was Roger Federer. I rooted for Roger at the 2009 Wimbledon final because I had always rooted for him. He was my idol, my great inspiration. I’m a fiery, ill tempered Scorpio and watching him helped me to be a better, calmer person in my own life. I’d get up at 3am to psychically help him to beat Nadal at the French Open ( it never worked). I’d cry when he wept openly after losing. But that is one match that I wish I had rooted against him. It was a five set serving bonanza. Both players were absolutely flawless. Wimbledon has no fifth set tie break. They were even at 6-6 in the fifth, Andy had not been broken during the entire match so it was looking good for him. He stayed focused, steely. The shadows grew long as the score increased. At 14-15 Andy blinked and Roger broke him to serve for the match. 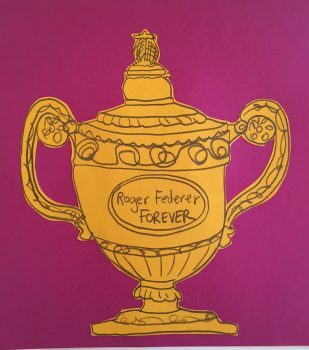 It happened so fast, before I knew it Roger was raising his hands in victory and zipping up his gold embellished jumper. Watching the trophy ceremony on You Tube, Andy looks shocked, exhausted. Eyes wide and red rimmed, choking back tears when he spoke to the crowd. “Roger’s a true champion.” he said. “He deserves everything he gets. It was a pleasure playing him.” The announcer asked him about the loss. “It’s just an honor to have this crowd root for you here, not everybody gets that, so thank you.” The crowd erupted as he stumbled back to the net to let Roger say a few words. Andy couldn’t help himself then. Like a frustrated child he shouted over from the net where he was standing, “But you’ve already won 5!” It was charming and honest, so Andy. But Roger is a ruthless gentleman. No matter how much it will hurt his opponent he will politely insist on winning. He will shake his opponent’s hand at the net, pat them on the back and say a few kind words to console them for their loss. He will do anything not to lose to them. And at the end of a major final, whether he wins or loses, he will break down in tears like a child, showing the whole world how much he cares about his sport. Roger won his fifth Wimbledon title that day and would go on to win three more. It was his fifteenth major title, breaking Pete Sampras’ record. Pete was in the stands to acknowledge the achievement. But how many more chances would Andy have? I regretted not rooting for him then. He could have used every little bit of extra psychic mojo and I failed him. “Andy Roddick.” Britt would answer. 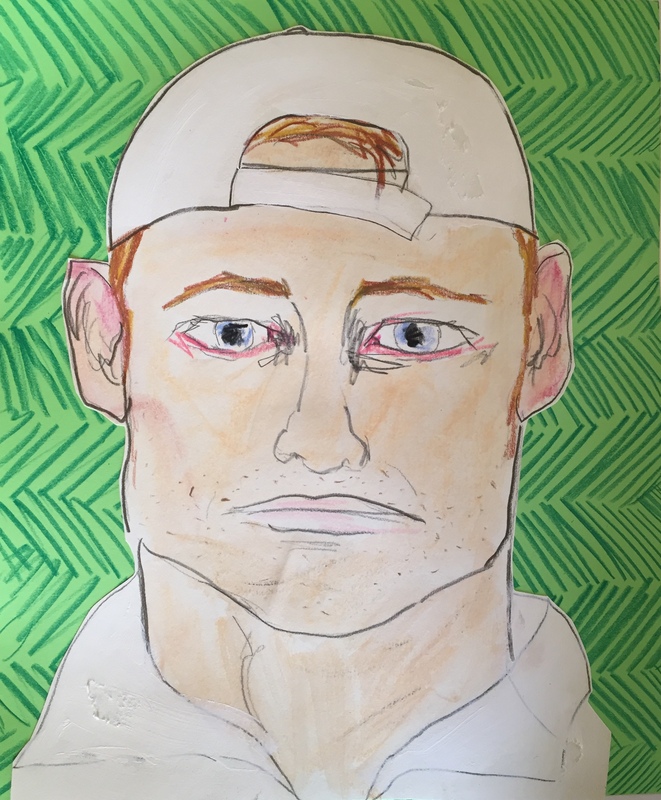 “Andy Roddick.” I’d tell him, nodding regretfully. After that match Andy flew back home with his good friend Serena Williams who had just won her third Wimbledon title the day before, beating out her sister Venus. In an interview she gave later Serena said he was inconsolable. He played successfully for three more years. He won two titles in 2012, the year he retired. But he was never again the tennis player that arrived on the grass that day in 2009.